GD 503, Spring 2013 Comparing Timeline suggests a new method for searching contents in Digital Humanities. 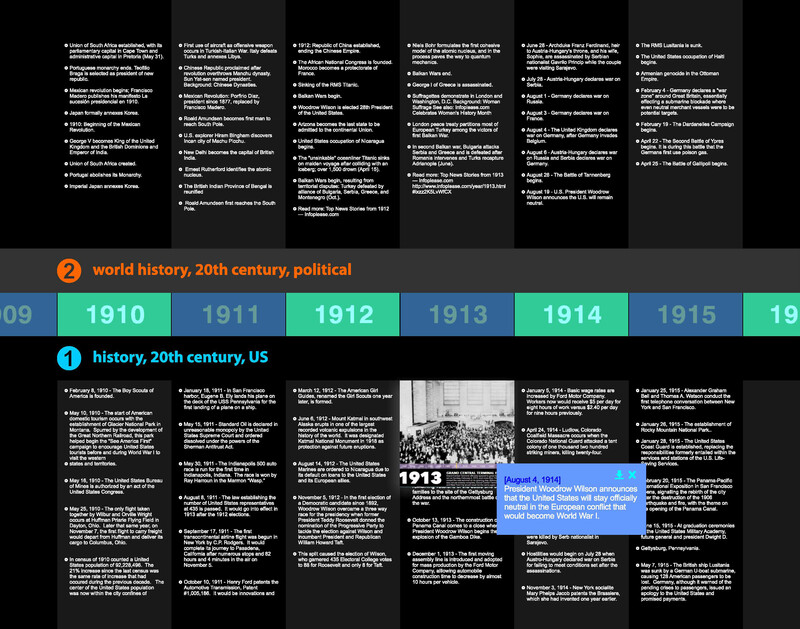 Timelines are graphic representations of historical or scientific events in chorological order. However, in most cases, timelines are limited to a specific domain, for instance World War II timeline. Therefore, such disconnected timelines miss possible relationships among events or facts. The Comparing Timeline addresses this problem and suggests a new way for connecting dots in the context of Digital Humanities. 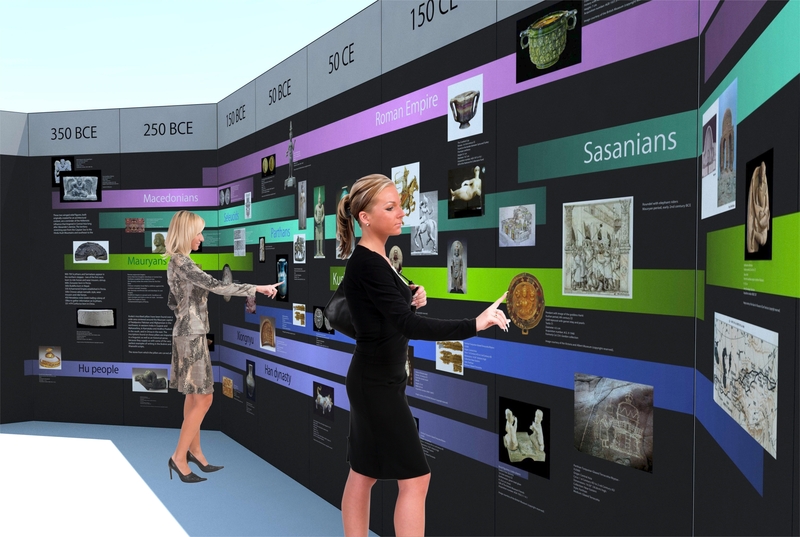 The Comparing Timeline consists of a portal for choosing subjects and defining different timelines and an interactive lab in which scholar can discuss different timelines and related contents through an interactive wall display and a table. Users may interact with different timelines and attach more information to each line or explore similarities, relationships, or coincidences. This intercative table allows users to search for contents related to different timelines. 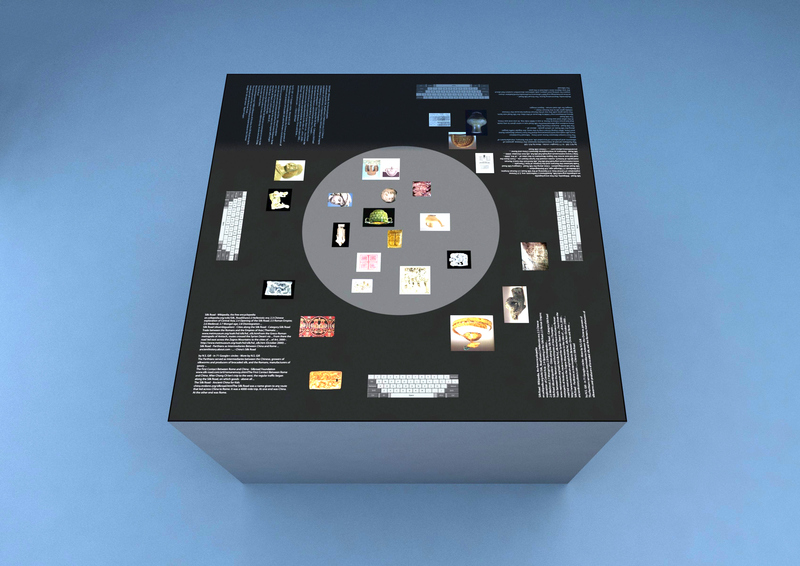 Users can drag the contents to the circle in the middle of the table in order to attach them on the interactive wall. 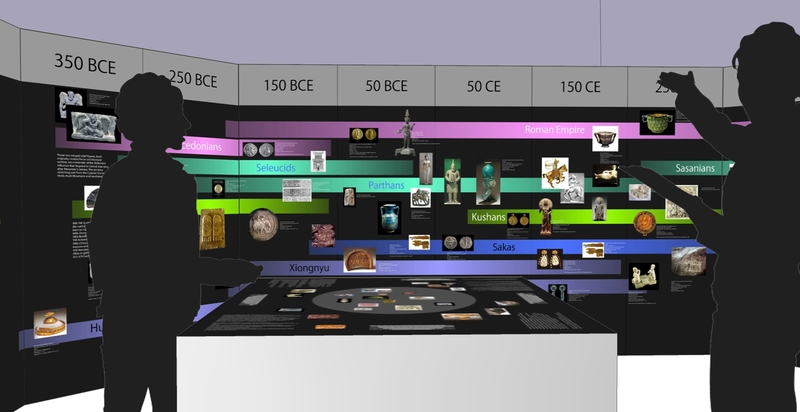 The interactive table and wall helps scholars to discuss various subjects and discover new relationships among hostorical evidences. The user can set keywords for sets of timeline in different realms of knowledge. However, only events or data that are associated to dates appear in the timelines. Eventually, user can compare different event in different context and by doing that he discovers various coincident of events. The aim is to see how searching through time and exploring coincidences helps for more exploration in the archives and collections.